At Canney’s Water Conditioning, Inc., we have your salt needs covered. 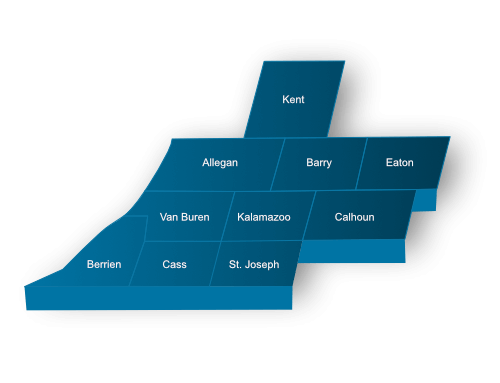 We deliver salt in bulk and by the skid to businesses and homes throughout Southwest Michigan. Hospitals and other businesses that use large amounts of water rely on Canney’s Water Conditioning to supply salt. We deliver bulk salt directly to brine tanks and brine pits, which means our customers can enjoy worry-free water softener operation. If you are in need of salt by the skid, call Canney’s Water Conditioning. With our fast delivery service, we can deliver skids of salt the day after ordering if not the same day! Whether you need salt by the bag, skid or both, we deliver according to your needs. We’ll bring it every week, every month, every other month – no matter how often you need salt delivered to your home or business, Canney’s Water Conditioning will take care of you. To have bulk salt delivered to your brine pit, or to have skid salt delivered to your business or home, contact Canney’s Water Conditioning today.